We'd like to know if the "Chicago dogs" on the menu are REAL CHICAGO DOGS? Yes the dogs are Vienna Beef from Chicago and they dress them right! 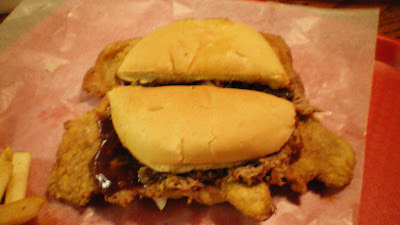 The tenderloin with smoked pork on top is also great, its called the Big Pig. Next to try is the burndt ends sandwich, it looks great! Their tenderloins may have been homemade when they opened, but they are clearly using prefab frozen ones now (you can see the box back by the fryers), and the drop in quality is huge. I don't know about the BBQ quality, but hate when a restaurant lies about a homemade product that isn't! 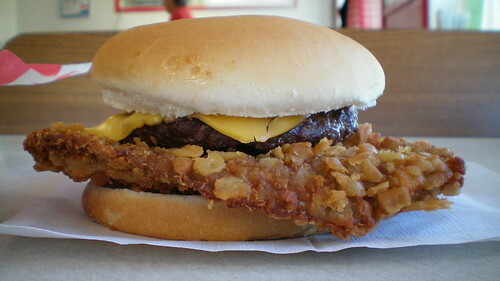 I tried the Big Pig tenderloin on 12/20/08. 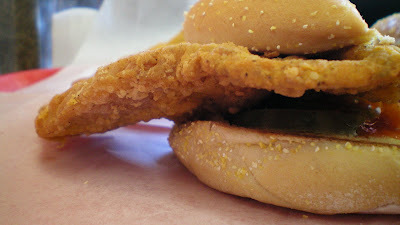 It certainly looked hand breaded & was very much as described by the blogger. 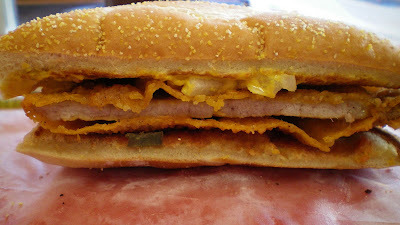 The sliced pork on it was delicious and I would go back for this and other items. I'm looking forward to trying the burnt ends sandwich and babyback ribs. My major complaint about the BBQ was there is only one kind of sauce, and it's thin and undistinguished. I'm sure you're supposed to do the 'Q' with a minimum of sauce to get the smoky flavor, but I like variety. 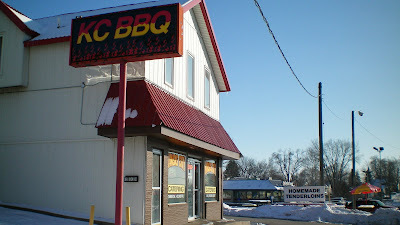 We have been to KC BBQ several times. Unfortunately the original owner had sold at some point this year and the new ownership cut a lot of corners. Once the fire happened, the original ownership re-opened it and the quality is back. They have the best baked beans I've ever had and we go back regularly for their smoked beef and pork. Don't see what creditors has to do with anything. Sounds like a personal vendetta. LOVE THE FOOD.... LOVE BOB!!! 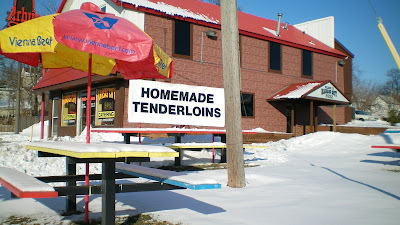 The tenderloins are not frozen, i know that for a fact. i've been in there once when they were being brought it by somebody else. They may be homemade, but not made in the shop. 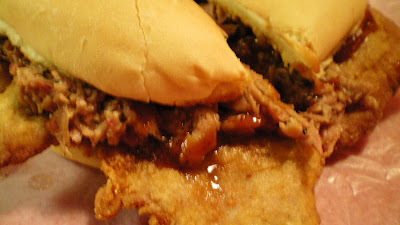 Personally i find the Big Pig to be the best tenderloin sandwich i've eatten. Let the truth be told. Onwers Lori and Chris did love the restaurant and wanted to make it work. We did have a fire in June of 08. We were renting a building that was not up to code. The fire was in the exaust fan and the City of Des Moines would not let us reopen until it was fixed correctly. When renting the building from Bob he told us the building was completely up to code. (Boy, we really trusted him!) We did buy the business KC BBQ. We gave Bob our life savings and then some. Bob was not telling us the truth, as you now know. He did not have a permit for the exaust fan and to correct the problem, it would have cost a lot of money which Bob was not willing to help with. As a matter of fact it is still not corrected and does not have a permit. Bob is now dealing with the City Of Des Moines. Bob is running KC BBQ without paying a dime to anyone. He left a message on our phone in Sept. 08 telling us that he was reopening KC BBQ and that the City of Des Moines was not going to stop him and neither was my husband or I. The equipment in the building is not his. It is also to my understanding he continues to tell people how aweful we were. I want everyone to know we loved all of you and we truly miss our customers. We worked very hard at making everyone happy. I can write a lot of negative things about Bob that are facts, but we have decided to give this nightmare to God and move on with our lives. FYI: Tenderloins are NOW frozen!! I love the food, the coupons make it silly cheap, but stay away at lunch time, state workers fill the place. It's not as good as the BBQ places that are twice the price, but it's a good food at a good value, I keep going back. Excellent food and very nice people. Between 11:30 and 1:00 during the week it gets very busy but obviously that is because its small and a very good place. 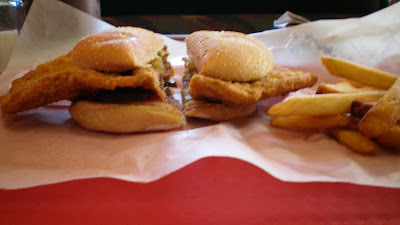 They have a fairly new sandwich Philly Steak that is very good also the tenderloins are very much homemade. 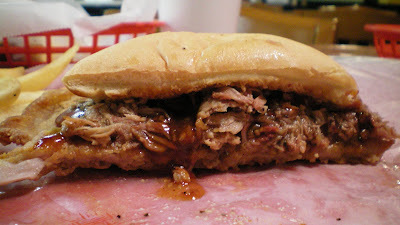 The big pig is the best, with BBQ Sauce and smoked pork on top, mmmm. They also have a new location at 54th and Douglas in Des Moines that has more room and serves the same food. I live right down the street it is the bomb bbq, eat there at least twice a month who cares about debt. Thats Bobs buisness not ours. I'm just glad they opened bck up so I can eat there again !!! !